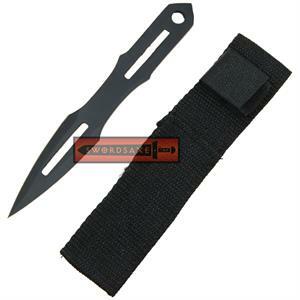 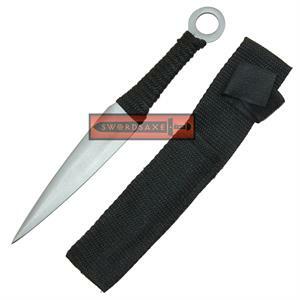 The Ninja Kunai Tactical Combat Uzumaki Anime Manga Throwing Knife features a unique design. 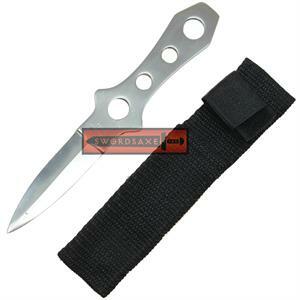 It has a stainless steel blade with three arrow head cut outs. The handle is nylon wrapped in camo green cord. 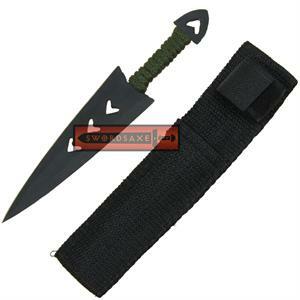 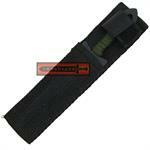 The knife also comes with a nylon sheath featuring a belt loop.